Paper & Ink Therapy: Happy World Card Making Day 2017! Hip Hip Hooray - Happy World Card Making Day! In honor of today, I will be sharing two cards. 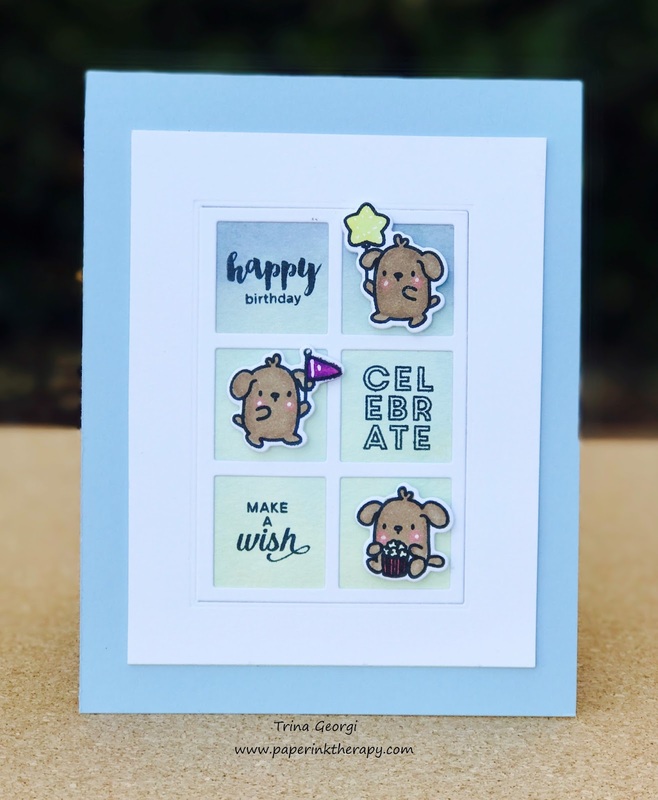 For the first card I created the background using several colors of Distress Oxide inks, and then created a framed-in border to highlight some of the cutest stamps ever from Mama Elephant. 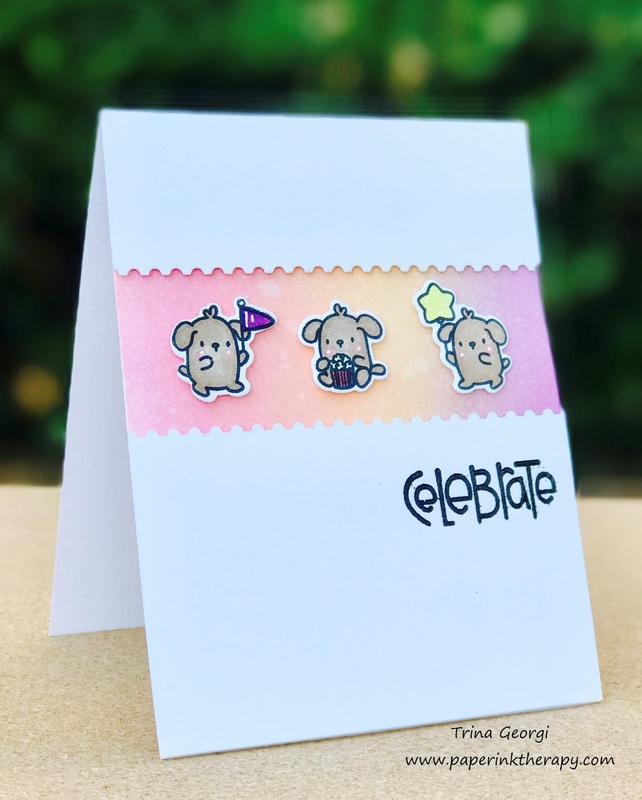 For the second card, I utilized the same concept used for the first one (I can't get enough of these cute little dogs! ), but changed up the background colors and the frame.